Look no Further! Your dream home has hit the market! Spectacular POOL Home on large private lot! Quality throughout this 3 bedroom 2 bath, 2 car garage, with FLEX room for Den or OFFICE! Huge kitchen with gorgeous granite counter-tops! Tons of space for the chef in the family! 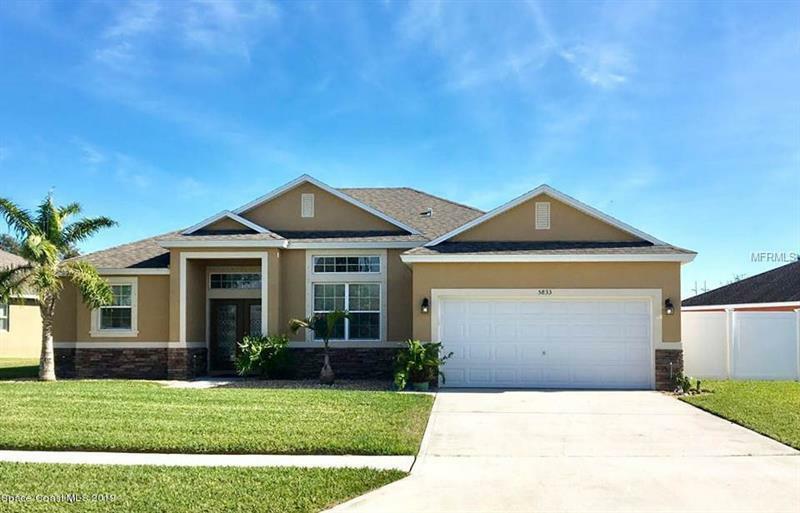 Open floor plan with beautiful ceramic tile, lighting and fixtures throughout! Amazing yard with Curb appeal and beautiful architectural design that flows throughout the entire home! New Screened in patio and salt water POOL with WATERFALL, added 2 years ago! Perfect for entertaining and enjoying tranquil days and nights! Conveniently located close to the Space Center, Shopping, dining, 30 min. to theme parks and a short 20 min. drive to the BEACH! Make this your home in Paradise!